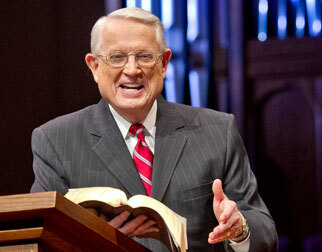 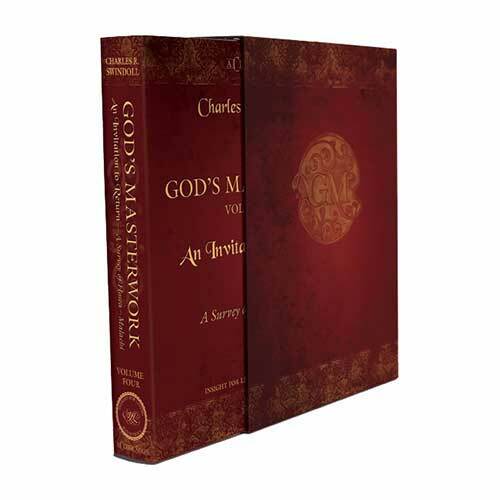 Listen to Chuck Swindoll’s overview of Zechariah in his audio message from the Classic series God’s Masterwork. 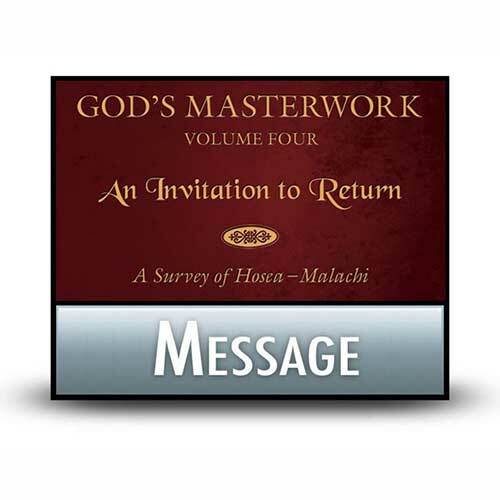 Meaning “Yahweh remembers,” Zechariah’s name was appropriate to the purpose of his prophecies.2 His book brims over with the hope that God would remember His promises to His people, even after all the time they spent outside the land. 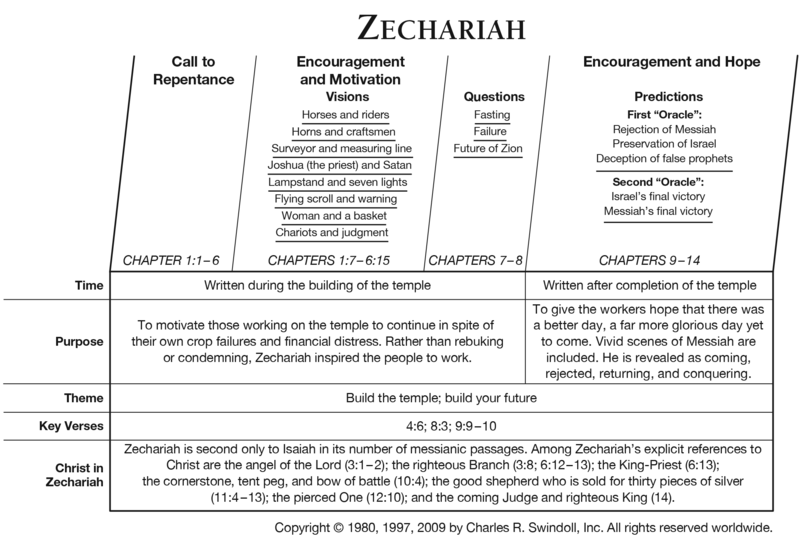 The prophet used a simple structure of eight visions (Zechariah 1:1–6:15), four messages (7:1–8:23), and two oracles (9:1–14:21) to anticipate the completion of the temple and, ultimately, the future reign of the Messiah from Jerusalem. 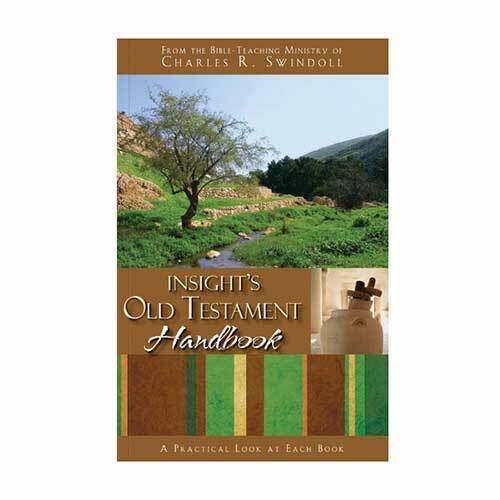 Like many of the prophets, Zechariah saw isolated snapshots of the future; therefore, certain events that seem to occur one right after the other in Zechariah’s prophecy actually often have generations or even millennia between them. 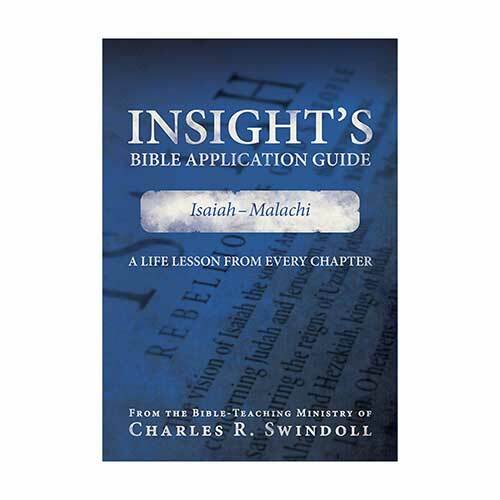 View Chuck Swindoll's chart of Zechariah, which divides the book into major sections and highlights themes and key verses. 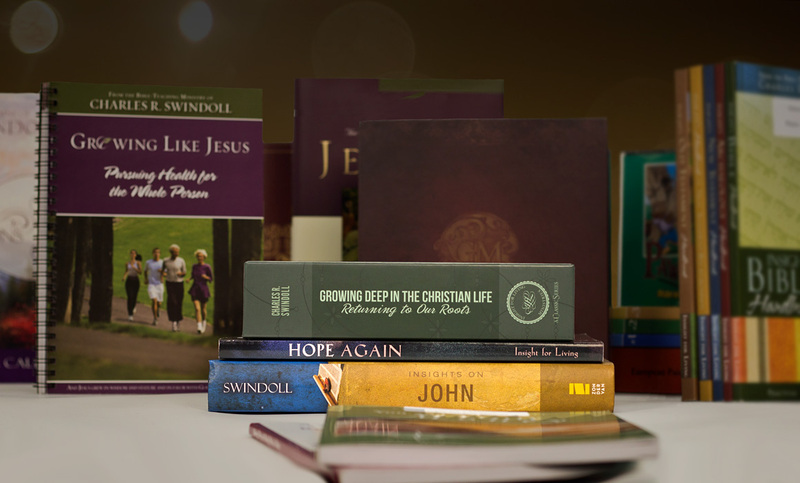 Discover more resources related to Zechariah.